Rate this Article Can you imagine a world where zoos, aquariums and even aviaries are all virtual, meaning no animals will need to be caged up, and that you can access them from the comforts of your home? Well, virtual reality is here to make that a reality! Virtual reality has made huge waves across the gaming community particularly due to the recent advancements that virtual reality has made, the sudden cropping up of various virtual reality headsets by renowned and established companies as well as the impending release of the world’s first commercial virtual reality headset, Vive HTC, by the end of this year. It is truly amazing how far virtual reality has come from being a gadget in a science fiction storybook to reality! Because of this, virtual reality has prompted quite a lot of companies to consider its use not only in gaming per se, but in any field, such as medical or military training, possible. It is only until recent that companies are considering using virtual reality to revolutionize the theme park experience as well! Besides the VOID (which technically isn’t a theme park), no other company had been brave enough to set foot into applying virtual reality in such a way before… that is until last week, Landmark Entertainment boldly put forward their announcement that they are carrying out their plan to launch the very first virtual reality theme park, which will hopefully be completed by 2018. Their plan for the next 3 years is to construct the first virtual theme park… or L.I.V.E. Center, as the company is calling it, in China, and from there, they hope to expand their virtual theme park operations to the international community as well! These L.I.V.E. 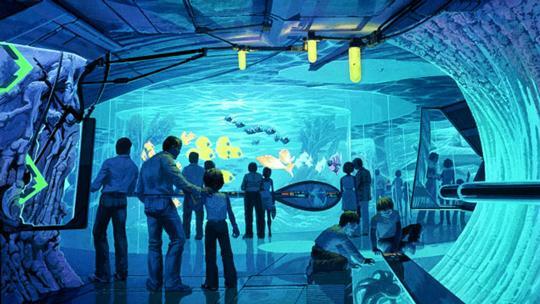 centers will house realistic virtual zoos, aviaries and aquariums filled with exotic animals for visitors to view. In addition to that, the center will also include an interactive museum, a digital art gallery, an immersive movie theater, a live entertainment stage and of course, shops selling themed souvenirs and knick-knacks. Landmark’s virtual park concept is particularly well-received by PETA, the notorious animal rights organization, as it means that there will be no need to have animals caged up for our entertainment or amusement in the future. However, you may wonder… will they be able to make this a reality? Well, Landmark Entertainment is a world leader in designing unique rides and entertainment attractions, like the “Spiderman” ride and “Terminator 2: 3-D” that are later placed in famous entertainment sites, such as Universal Studios Hollywood, Paramount Parks and a number of Las Vegas hotels. They are, in fact, the pioneers of 4-D and 5-D experiences, which engage your sense of smell and balance along with 3-D projection. So, in terms of experience, they have plenty! And honestly, if they can’t do it, nobody can! As a matter of fact, Landmark’s CEO and founder, Tony Christopher has envisioned something even ambitious. He proposed an idea to create virtual reality theme parks that can be visited anywhere from around the world, and by offering different virtual reality theme park experience on a monthly basis, perhaps, he could possibility create a sustainable business model from his virtual reality theme park project instead of having it as merely a novelty – the sort that people will go to once-in-their-lifetime. As incredible as this news may sound, Landmark is now not the only company considering this potentially lucrative application of virtual reality. Lucasfilm has recently announced a collaboration with Industrial Light and Magic, the company behind the special effects in ground-breaking films like Star Wars, Jurassic World and countless other blockbusters, and Skywalker Sound subsidiaries. 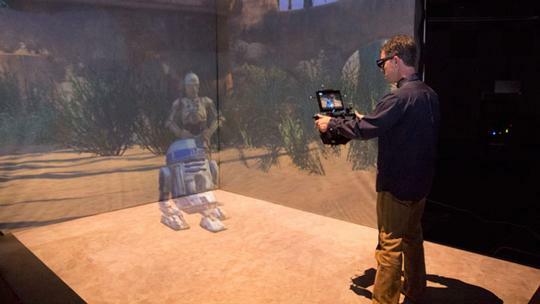 The collaboration led to the founding of ILM Experience Lab, or ILMxLab for short. ILMxLab is primarily investigating the potential use of virtual reality in what the President of Lucasfilm named as “experiential entertainment”. They intent to use virtual reality in both movies and in theme parks, making them to be quite a formidable competitor to Landmark Entertainment’s virtual theme park project. However, the difference between ILMxLab and Landmark is that ILMxLab has access to one of the world’s most popular fictional universes, Star Wars. For the general public though, all of this means nothing as long as they get to enjoy exploring the dusty streets of Tatooine with iconic characters from the Star Wars universe, like C-3PO and R2-D2, or even a race across the plains while piloting the super-cool X-Wing. With the company’s in-depth knowledge and experience in real-time graphics which have been accumulated over the years, ILMxLab may just have the upper hand here. Nonetheless, it is obvious, to say the least, that virtual reality will soon play an important role in our lives, especially in the entertainment sector. Perhaps, the future will be a place where virtual worlds and experiences will be so integrated and embedded in our lives, much like what smartphones and other smart devices are providing us on a daily basis in this modern era. So, what do you think of virtual reality theme parks or virtual reality in any aspect of entertainment, be it gaming or in movies? Do let us know what you think in the comments!